Easy Street Records. 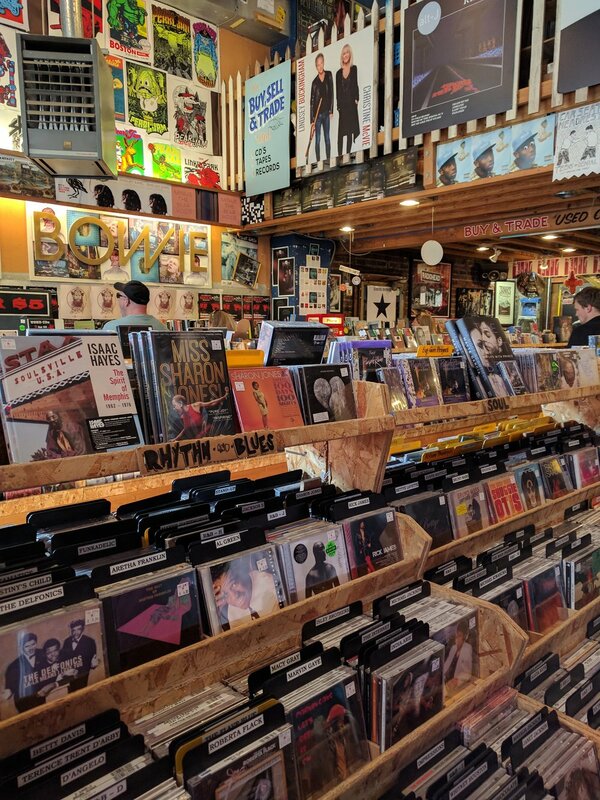 Seattle's legendary independent music store. And the launch point of my Day of Awesomeness yesterday. Nicole and I spent the past week in Washington State, God's Country. I had a free day in Seattle with my brother so we headed to Easy Street Records and Georgetown Brewing Company. A little background for the following Easy Street Records story. My brother and I are big Pearl Jam fans. That's because Pearl Jam is the best band in the world. Easy Street Records is synonymous with Pearl Jam. 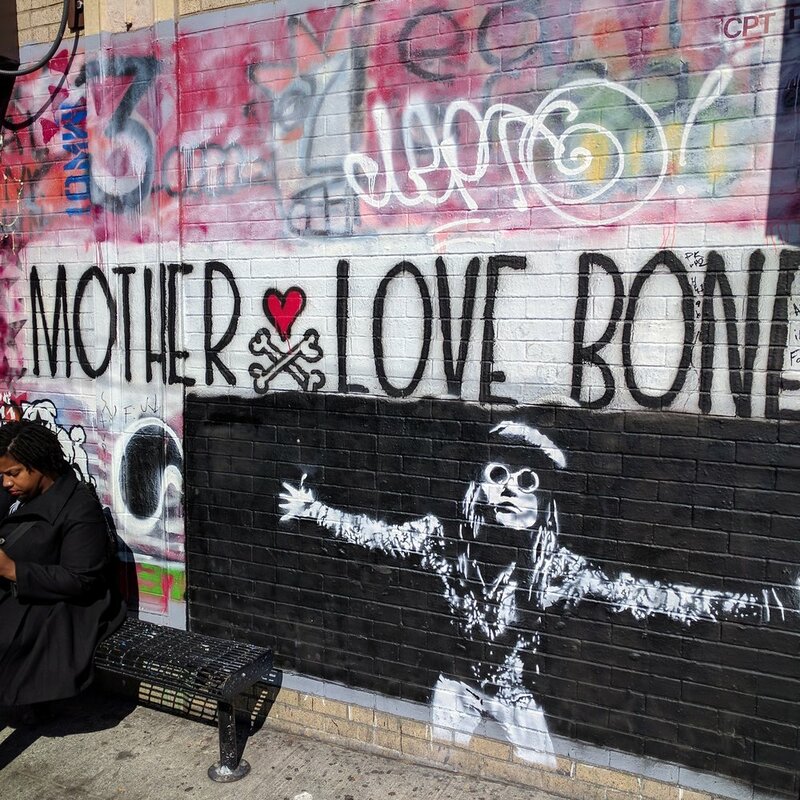 The band's posters line the walls, and Pearl Jam famously played a set there during 2005 that the band later released as Live at Easy Street. More recently, their lead singer, Eddie Vedder, who originally hailed from Chicago, wore a black Easy Street trucker hat in the Wrigley Fields' stands during the Cubs' march to World Series victory last year. 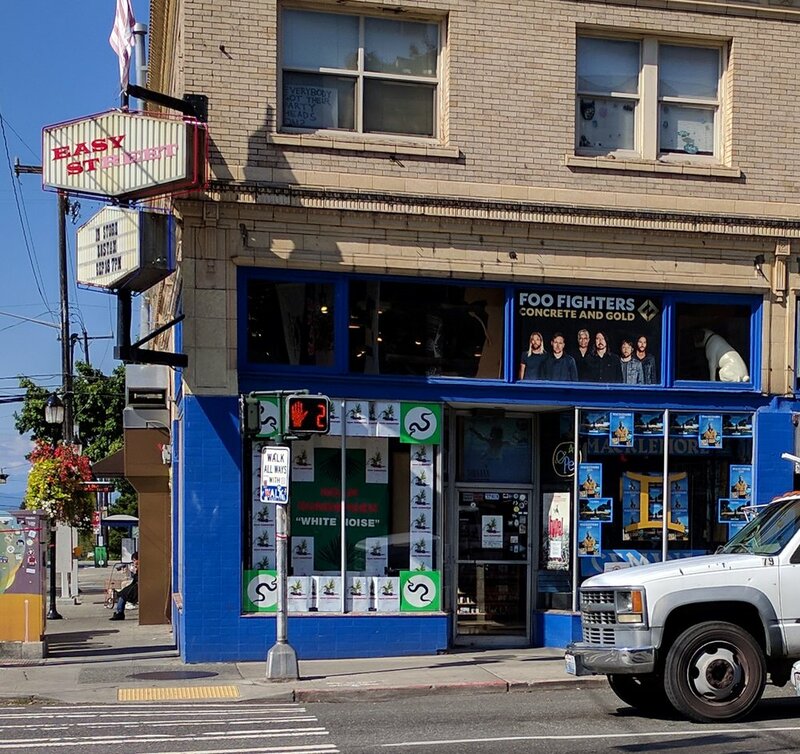 For Pearl Jam fans, the shop is a pilgrimage destination. Time Magazine has called it one of America's ten great record shops. My brother, who lives outside Seattle, regularly goes to look for vinyl records. But I had never been. So we were pumped to check it out. Upon arriving at the store, my brother and I walked upstairs where the vinyl records are kept. We immediately whispered, "Is that Mike McCready?" It was. Pearl Jam's lead guitarist just hanging out and flipping through records. My brother and I struggled to keep ourselves together. Like a teenage girl running into Justin Bieber at the mall, my heart raced the entire time and we could barely form complete sentences. We didn't say anything to McCready or ask to take pictures. We played it cool and, anyalyzing this endlessly afterwards, we were glad we did. Just hanging out in the same room was awesome and asking for a selfie wouldn't have made it any better in our minds. At one point, my brother and McCready were shoulder to shoulder flipping through albums. This is a story I will be telling for the rest of my life. After some egg burritos with hash browns at Easy Street's cafe (highly recommended! ), my brother and I headed to Georgetown Brewing Company. I'm biased, because Georgetown's brewer is my brother's best friend, but this is the Seattle area's best beer. Georgetown's Manny's Pale Ale is a Seattle institution. But Georgetown makes a bunch of other lesser-known beers that are great. During our visit, I particularly liked the very grassy, hoppy but smooth "Warchild" IPA. Up until a few months ago, Georgetown did not bottle its beer. So you either had to find it on tap at a bar or restaurant, or visit the brewery to buy growlers. Now, with a recently installed canning line at the brewery, Georgetown beer cans are available in stores throughout the Seattle area. If you have the chance, try the Bodhizafa IPA which we sipped during our visit. Delicious! This was the best day I've had in a long, long, long time. Running into Mike McCready was a dream come true. Checking out Seattle's best brewery was a blast. Easy Street Records and Georgetown Brewing Company. Long live the Emerald City. At Georgetown's brewery; Nothing Could Go Wrong For Us On This Day -- For $12, you too can purchase the black trucker hat I'm wearing at Easy Street Records, just like Eddie! Like this post? Want to read more about Travis and Nicole's travel adventures? Check out The Case for France - Le Music.